The pieces that you have seen throughout this series is basically my "functional" wardrobe. By "functional" I am excluding any pieces that I wear solely for sports/exercise and very formal occasions (i.e. ball gowns). What started as a way to clean out my wardrobe so that my mornings became that little bit less stressful ended up with me understanding my style that little bit more. I started to appreciate how building a wardrobe should have a foundation of essential pieces. This makes transitioning new or "trendy" pieces that still suit your style easier to add to everyday outfits. For example, I love a printed skirt or trouser and by pairing it with a neutral tee or sweater I am able to find a balance that still suits my style. In addition, I started to critically think about shopping in general (to cover all my musings on this topic I will be posting about this later this month). Now, it is all about maintaining the basics and adding pieces that I believe fit my style. By no means will I stop curating my wardrobe as I believe it is always ongoing, so I'll post whenever I add to my essentials. I will continue with my outfit posts as it shows how a well selected wardrobe is easier to style then a wardrobe filled with random pieces. 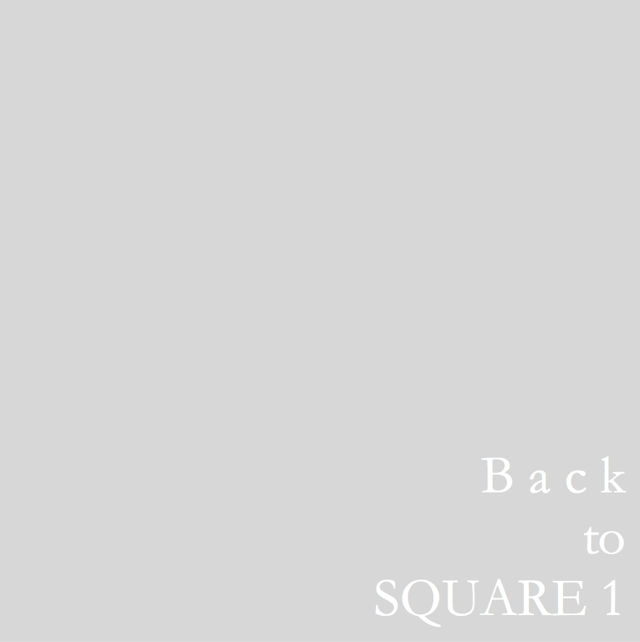 Here are all the links to the "Back to SQUARE 1" posts. I did not end up posting "the bags" because all my daily bags have been seen in the outfit posts. There are a couple of bags that I only use occasionally, thus not fitting these posts. However, they will probably be in a few outfit posts later. Your thoughts on the "Back to SQUARE 1" posts? Also, anything you would like to see me post about?